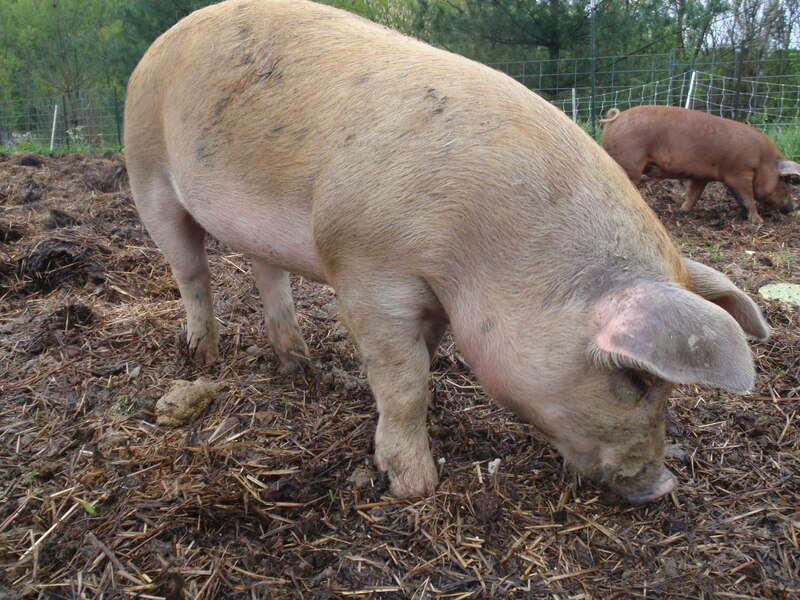 Gloucester Old Spot/Duroc hybrid barrow. Just wanted to let everyone know about our sales and available meat products for the 2012 season. Our first run of hogs have all been sold. Thank you to Melane, Doug, Chastity, Rob, Kelly, and Bryan! We have some interest in hogs ready for slaughter in the fall. If you are interested, please shoot me an email or comment on this post and I will add your name to the list. This little Kiko buck is growing fast! 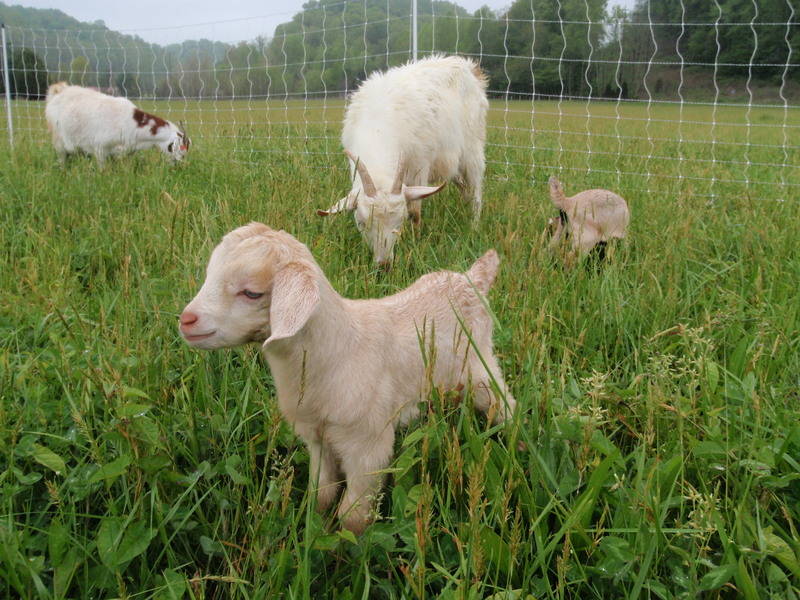 We have sold our first goats – thanks Jennifer, Rachel, and Nick! – and we have two more available for 2012. They are available for both breeding and eating. Again, send me an email or comment below if you would like a goat so that we can work with you on the size you would like for eating or the characteristics you are looking for in a breeding buck. If you are looking for a breeding buck, please contact us quickly, as the bucklings will be wethered when they reach 2 months of age. The hens have hatched out 17 poults so far with 3 more hens still sitting on their eggs. They will be ready for Thanksgiving and are really excellent! Supermarket birds aren’t even close! A $25 deposit will reserve a bird for your holiday meal and the first people to reserve get the first choice as to the size of bird they would like. Please contact us to reserve your turkey. Our first two litters have sold, but we definitely have more on the way. Rabbits are $5 each if you would like to process them yourself and $10 each if you would like us to do it for you. Chicken can be ready for you from 6 to 12 weeks after you order it, depending upon whether you would like the Cornish x White Rock hybrids or the older, tastier heritage breed birds. Contact us and we can have a custom-sized order ready for you! Eggs are pretty much always available. They are $3.25 per dozen – $3.00 if you bring us an egg carton. Our chickens are completely free-ranging during the day and return to a predator-proof coop at night for protection. Thanks to all of our great customers and we would love to welcome some new ones!